Bali Safari Marine Park is most popular zoo park which existed in Bali paradise island with renowned collections interesting zoo packages, located in east side of Denpasar city (now: capital city of Bali). 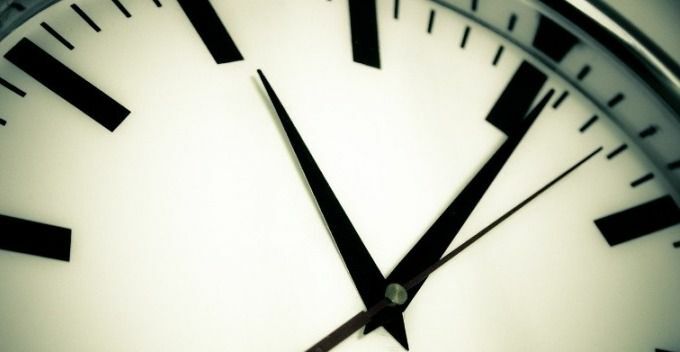 ...a name that has been famous for over 20 years in efforts to conserve nature and business of recreations. also provide chance to all tourists in meetings up close with wildlife animals. and Bali Safari Marine Park invites you to finding a unique journey legend in between humans and animals. Bali Safari and Marine Park, with its location situated in tropical area on a very lush green surroundings landscape, also supported with lots of tropical shade trees. precisely on highway Jalan By Pass Prof. Dr. Ida Bagus Mantra - Serongga village - Gianyar regency - Bali - Indonesia. because it is located on edge highway with access translucent headed straight to Karangasem east bali area. while from Denpasar city (now: capital of bali) only takes about 30 minutes (17 Km) and from Ubud art village about 50 minutes. Besides, this zoo is affordable by all types of vehicles, also supported by a large parking area surrounded by various shades tropical trees. Bali Safari and Marine Park open every day from 9:00 AM until 17:00 PM, and closed on Nyepi Day (Balinese New Year). 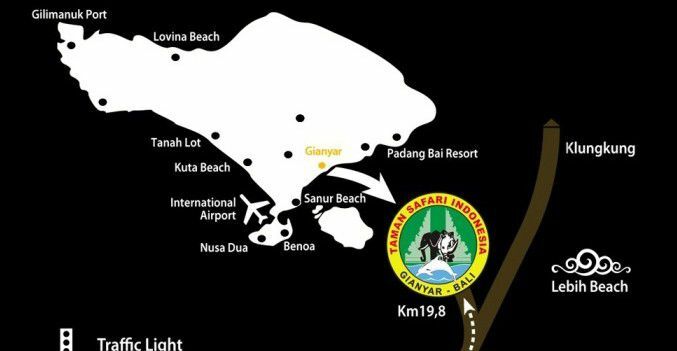 Except for Bali Night Safari Package program open from 5:45 PM until 9:00 PM. and Uma restaurant serves dishes with excellent taste, for you who want to relax while enjoying food at this place. Beside, the restaurant also serves International cuisine, Asian, and Local food that ready to serves a selection of fresh food dishes with an open concept counter. 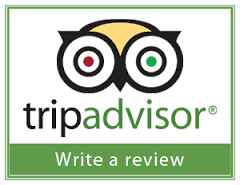 In addition, to the existence of uma restaurant, there is also Tsavo Lion Restaurant. while looking straight to a close meeting with the existence wild animals Lion King through a glass panel that surrounds in around ​​Tsavo Lion restaurant area. 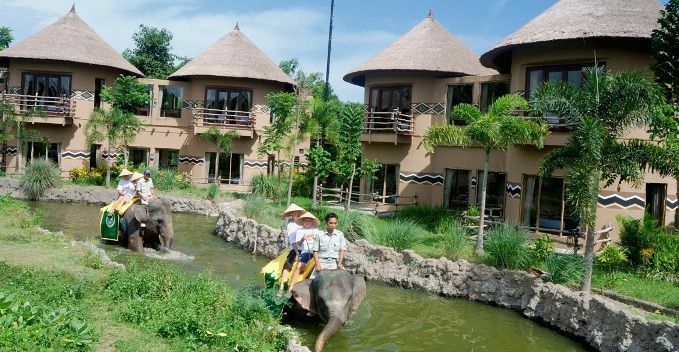 Bali Safari and Marine Park lodges, ie: there are several of lodges for you who want to get an interesting experience when enjoying bali holiday packages. 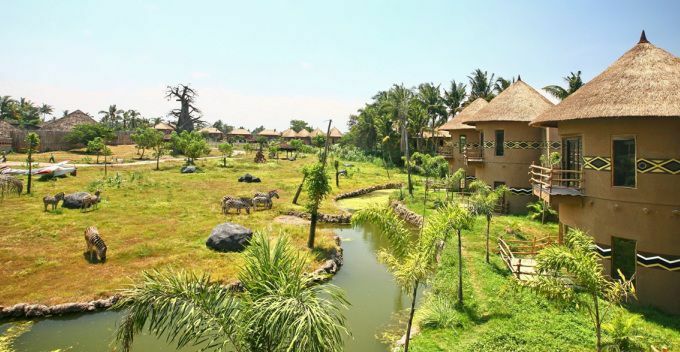 and the lodges is situated in the heart of Bali Safari and Marine Park area . So you will get an unforgettable experience and you can interact also feed the exotic and rare animals directly from lodge's room. 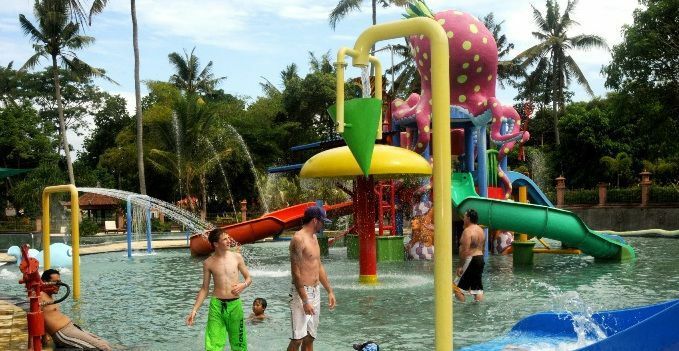 Other facilities found in famous zoo Bali Safari and Marine Park, is: water park amusements arena and water rides that you can enjoy when visit this zoo park. 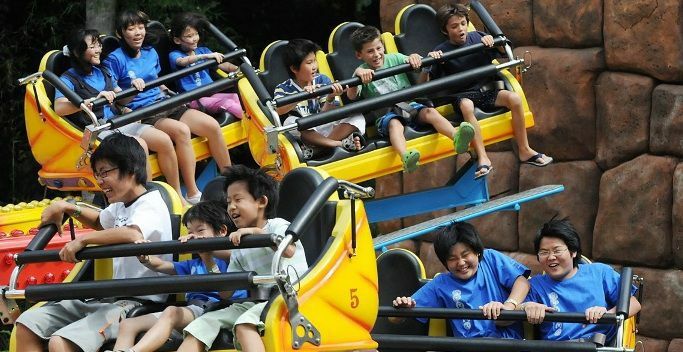 For you who want to feel a different atmosphere, especially who visit with families and children can enjoy a beautiful day at amusement Bali Safari Fun Zone and Water Park. thus made your holiday time will become fabulous in a popular place Bali Safari and Marine Park. 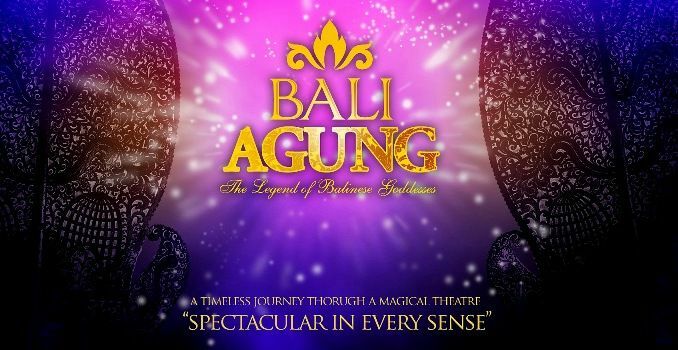 Bali Safari and Marine Park also provides greatest stage show, dedicated to all visitors both local and foreign tourists while visiting this place. ...which makes this magnificent covered stage becomes the largest in Southeast Asia. or large vehicles (such as: tourism buses) who visits this place. ...so it will be comfortable for you when parked your vehicles. 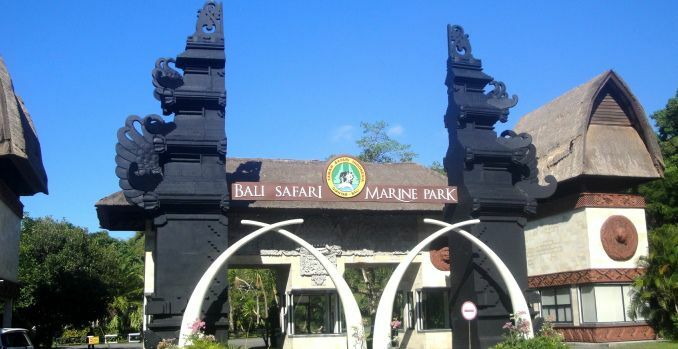 Aside from all facilities above, Bali Safari and Marine Park also provides shuttle bus for you who want to visit this place (a reservation is required for shuttle bus). Bali Safari and Marine Park is best zoo and a renowned tourist attraction that highly recommended by Sorga Bali Tours (Online organizer for holidays, Adventure packages and Bali tour service activities).